Have you been looking into energy saving options for your home or business? If so, you’ve likely come across the name Energy Star more than once. The environmental protection agency, also known as the EPA, created Energy Star to help consumers not only save money, but also save energy, and create less of an impact on the environment. This voluntary program can be used by homeowners, business owners, and everyone else to reduce emissions and save money on energy costs in various ways. 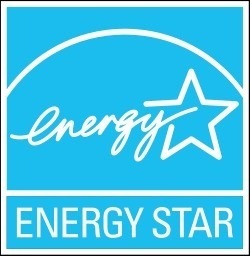 Here at ECO Commercial Roofing, we are proud participants in the Energy Star Roofing opportunities, and we help extend these benefits to our clients with high quality Conklin Energy Star roofing products. To learn more about Energy Star roofing in Texas, Louisiana, and Mississippi, give us a call today at (833) 200-0571, or check out the additional information below! What Is Energy Star Roofing? An Energy Star Roof Will Meet High Standards Of Reflectivity! Now you know what Energy Star is, but you may be wondering exactly what it is when it comes to roofing. Similar to all of the activities Energy Star supports, roofing materials preferred by Energy Star are designed to save you money, while also reducing your carbon foot print. To qualify for the Energy Star Certification, roofing materials need to meet certain standards of reflectivity and energy efficiency. As an example, foam roofing is a particularly popular roof for energy efficiency, as are highly reflective roof coatings. 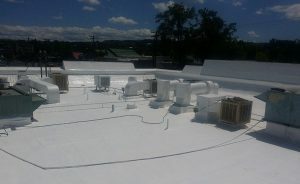 At ECO Commercial Roofing, we use high quality Conklin roofing products, which also adhere to Energy Star guidelines. By adding such roofing products to your home or business, you can expect cooler temperatures, lower energy bills, and a longer lifespan for your roof. You will also create a smaller environmental impact, which helps protect our eco-systems and our entire planet. If you are ready to improve the energy efficiency of your roof with Energy Star roofing in Texas, Louisiana, and Mississippi, call our roofers today at (833) 200-0571. We have more than 20 years of experience, and we are dedicated to helping our clients get the most out of their quality roofing investments. We have a wide variety of roof coatings if you are interested in roof restoration, or we can assist you with brand new installations. The keys to a long-lasting roof include proper installation and a high quality product. When you work with ECO Commercial Roofing, you are sure to get both, and the added benefit of energy efficiency.